The property was right on the beach and it was easy to have a dip and hang out on the porch back and forth. There was a white/orange cat (like anywhere in Greece) hanging out in the garden and he was really friendly! He didnt come into our room when we told him so. Very good cat and it was a huge plus for us! You can just walk out onto the beach and swim - amazing at 7am - you’re the only one there! 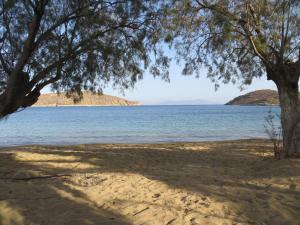 And the beach is great, shaded by tamarisk trees, and protected on any windy days. Fantastic room service - cleaned every day, clean sheets and towels as well. Owner and staff very helpful. Excellent internet connection. Livadi itself has good restaurants and everything you could need. Perfect location, family facilities, fully equipped room, and memorable cleaning. An ideal place to spend your holidays! Location absolutely wonderful. i would not ask more. The location directly on the beach was fantastic. Sunrise swim was a highlight. The place was spotless, the bed comfortable and the shower great. The manager was really friendly. The room was cleaned every day. Posizione ideale: comoda per il porto, ma tranquilla e silenziosa. Di notte, si sente solo il rumore delle onde, a pochi metri dalle finestre (scegliete le camere lato mare, che valgono abbondantemente il sovrapprezzo!). Bella struttura. Molto comodo. Pulizia giornaliera. Proprietario molto gentile e disponibile. 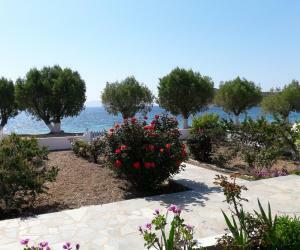 Lock in a great price for Galazio Sea Side Apartments – rated 9.5 by recent guests! Just 20 feet from the sandy beach of Livadakia, Galazio Sea Side Apartments features self-catering accommodations with free WiFi. Livadi Port with mini markets, bars and seaside taverns is just 800 feet away. Spacious and air conditioned, all studios and apartments open to a furnished balcony or terrace with mountain or Aegean Sea views. Each has a kitchen with an oven with cooking hobs, full size fridge and dining table to prepare and enjoy your meals. Extras include a hairdryer and TV. Galazio lies at a distance of around 3.1 mi from the scenic main town of Chora with its whitewashed houses and the narrow alleys. 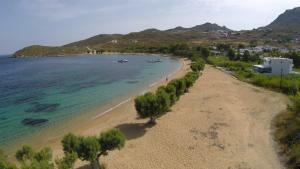 The Blue-flag beach of Psili Ammos can be reached within a 15-minute drive. This property also has one of the top-rated locations in Livadakia! Guests are happier about it compared to other properties in the area. When would you like to stay at Galazio Sea Side Apartments? 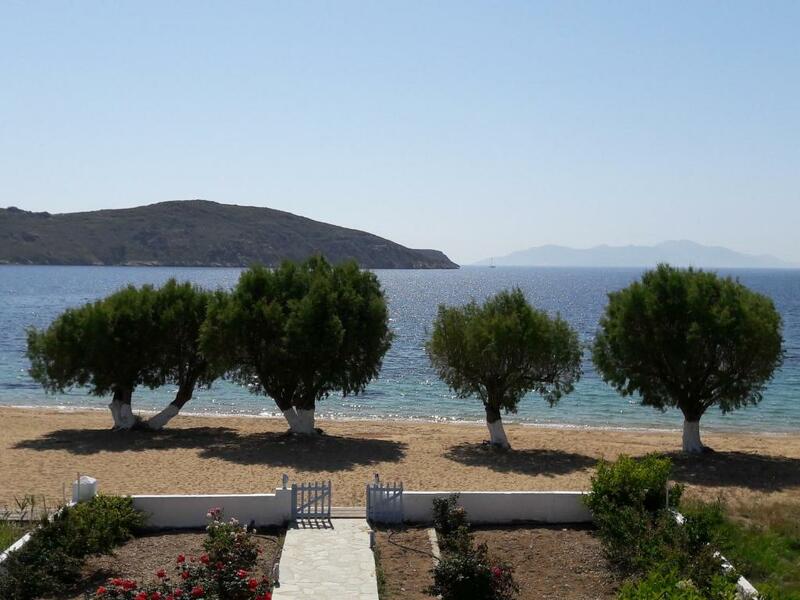 Offering straight views of the Aegean Sea, this air-conditioned studio is just across the beach and has a fully equipped kitchen and free WiFi. Offering mountain views, this air-conditioned apartment is just across the beach and has a fully equipped kitchen and free WiFi. This apartment features a private entrance, kitchenware and tile/marble floor. This apartment features a kitchenware, electric kettle and balcony. 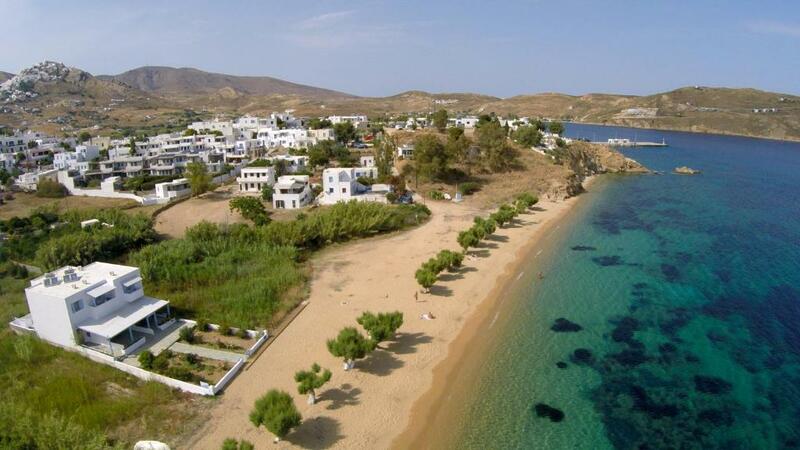 Galazio, is a recently constructed (2012) sea side resort, situated in a dreamlike environment only 5 meters away from Aegean sea. Consisting from 6 spacious apartments and studios, builded all with the traditional Cycladic architecture. Livadakia, is a new settlement and the natural continuance of Livadi which is the touristic center of the island. It is a peaceful village away from the loud noise of Livadi. At Livadakia, you can found the majority of rental accommodations (rooms to let, apartments, hotels), which are mainly situated amphitheatrically over the sea. 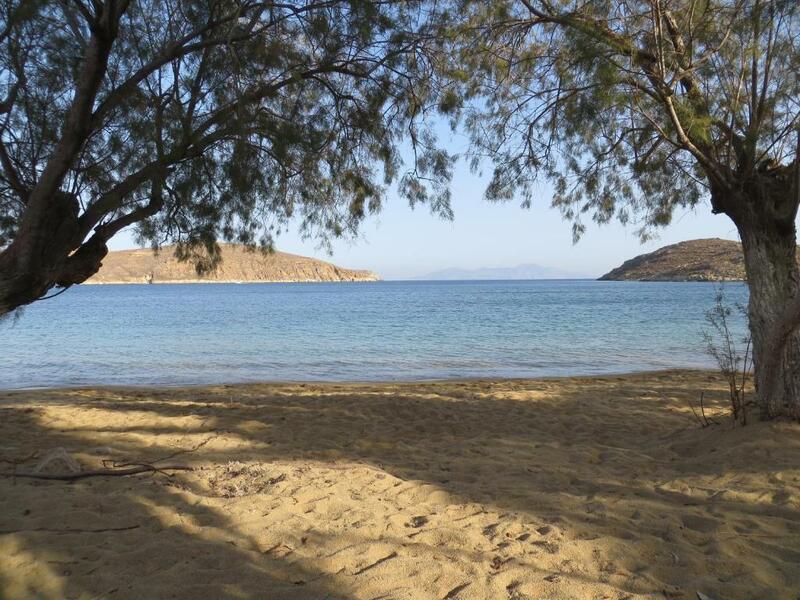 Livadakia beach, is generally protected from the famous north winds-meltemia of Cyclades and with the transpared blue waters offers picturesque view. House Rules Galazio Sea Side Apartments takes special requests – add in the next step! Galazio Sea Side Apartments accepts these cards and reserves the right to temporarily hold an amount prior to arrival. Please inform Galazio Sea Side Apartments of your expected arrival time in advance. You can use the Special Requests box when booking, or contact the property directly using the contact details in your confirmation. No problem for us but be prepared to walk up and down steps to get access - ideally use taxi on arrival if you’ve got a lot of luggage. It was a bit of a trek into town! Hills and steps.